It's nearing the end of February and we are still working on getting few more Ideal Steel Hybrid beta stoves out in the field for the last couple months of burning. We received the very sad news today that a very active customer of ours, Charlie Wolz, passed away on February 8th. 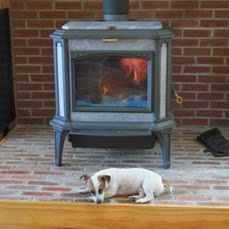 We first met Charlie in person in May of 2012 when he and his wife, Maribeth, came to see our stoves. This meeting was just the beginning of our relationship with Charlie. 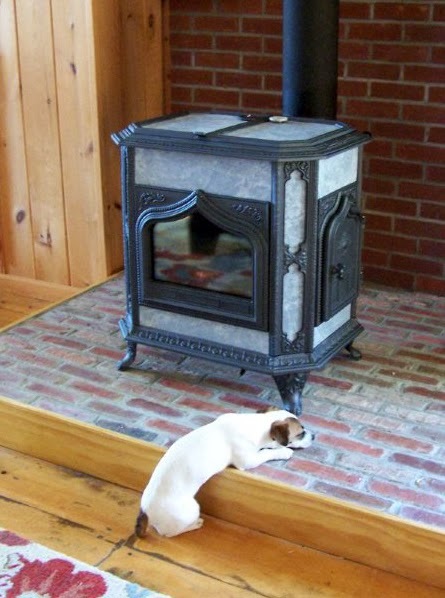 Charlie went on to purchase a Fireview stove, but due to the age (circa 1840) and size of the home, decided to utilize the 6 month buy back, to exchange the Fireview in for the larger Progress. Throughout the two short years of knowing Charlie, we had many conversations about his stoves and wood burning in general, and Charlie became a big proponent of our company and our work on the Ideal Steel Stove, and was always at the ready to offer a helpful thought or suggestion. It's customers like Charlie who have helped to to make the Woodstock Soapstone story brighter and richer. "Thanks for all your time today... We had a blast! Beer was good at the 7 Barrels Brewery... as was the food... Had the Dublin Brown Ale, yummy! Thanks for the cricket.... I’ll bring you some growlers next time I stop in!" Charlie, it looks like we'll have to put the growlers on hold for a while. When Doug and his wife Amanda came in to pick out the colors for their Ideal Steel beta stove, Amanda quickly took over the reins to create a color combination that would work well in their home. One of the interesting aspects of our Ideal Steel Hybrid, is that the side medallion, burners, and andirons can be customized. Kurt, our beta tester in Bow NH, decided to submit a photograph for a customized art set. Below is the file Kurt originally sent, followed by the side medallion and andiron files we created. The center burner of the stove mimics the side medallion, and the andiron design was taken from the simple leaf like ends on the spiral.